A stunning two bed room apartment located within few minute’s distance from all major attractions, Comfortable 2 Bedroom Apartment SAZ is the place to be if you want value for each dime. The entire apartment is air conditioned while guests can also enjoy free WiFi at the property. The apartment features two bedrooms- one bedroom with 2 twin beds and one bedroom with 1 twin bed and 1 queen bed, and a living room with a sofa bed. There is a compact and utilitarian kitchenette overseeing a dining area. The apartment comes with plenty of storage options for guests who pack heavy. 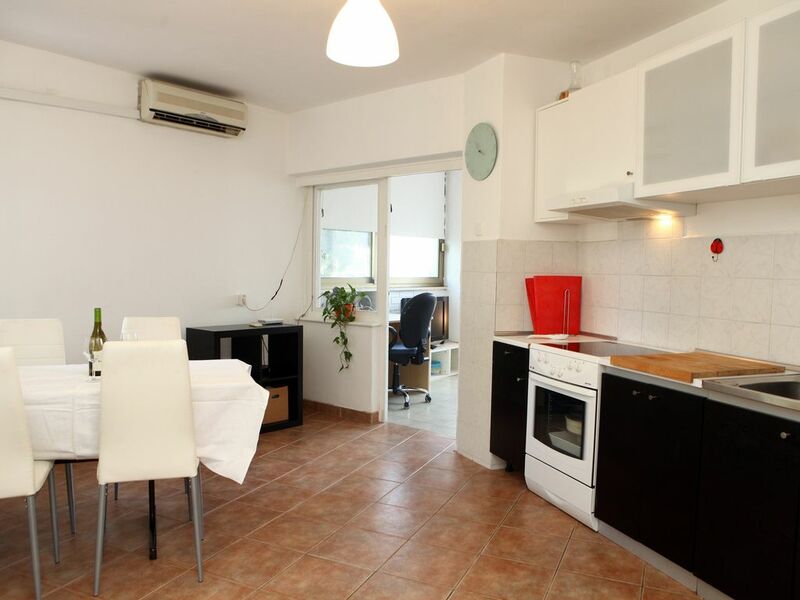 The apartment is well lit and very close to Camp Lucija Beach and the Central Beach Portoroz both of which are just 800m away. Closer attractions from the property include the Secovlje Salina Nature Park at 1.5 KM away, Portoroz thermal Spa at 1.3 KM away and the Fiesa Lake at 2.5 KM away. The Tartini Square is 3.5 KM away whereas the Port of Izola is about 5.6 KM away. The Apartment can accommodate up to 5 guests and offers bicycle rental services!